It’s almost a new month, which means many coupons will be no longer available to print by the 1st! 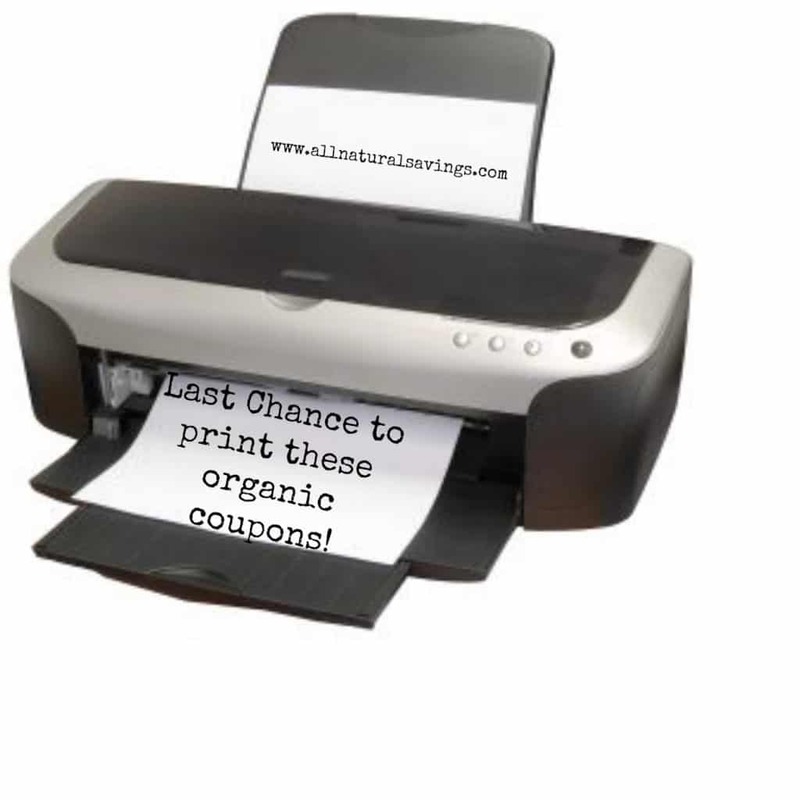 Be sure to head to the organic coupon roundup and print what you need now (remember you can generally print 2 copies of each coupon per device! ).